April 16, 1916 marks an important day in the history of Italian race cars because it was the day that Ferruccio Lamborghini was born. His line of Italian cars are known for not only their sleek, stylish appearance but for their high-performance as well. With Lamborghinis, you get the best of both worlds: style and function. However, Lamborghini did not start off as a racecar builder; his roots began by working on tractors. Feruccio Lamborghini has a very colorful and interesting history, which we would like to explore today. Lamborghini was born under the zodiac sign Taurus, which is represented by a bull. The Lamborghini logo depicts a prancing bull, but it didn’t just represent his zodiac sign. Lamborghini was a fan of Spanish bullfighting, which he wanted to incorporate into the logo. Rumor has it that the prancing bull logo was also created in opposition to the logo of the rival car company, Ferrari, which was a prancing horse. During World War II, Lamborghini worked in the transportation section of the Italian Air Force. In 1944, he was captured by the British military as a prisoner of war. The British military put him to work in their motoring department, in which Lamborghini furthered his mechanic skills because he had a limited amount of supplies to work with. Even as a child, Lamborghini developed an interest in working on the tractor at his parent’s farm. He attended a technical school to further his mechanical inclination, which developed greatly during his time in the Italian military in World War II. Following World War II, Lamborghini discovered that the farmers in his hometown desperately needed tractors. Lamborghini began converting old war surplus into tractors, which developed into a business enterprise. This tractor business continued to grow and achieve great success. The success of his tractor business made Feruccio Lamborghini one of the wealthiest men in Italy, and he bought a couple of Ferraris. However, he wasn’t able to race with the locals because his clutch repeatedly malfunctioned. Lamborghini visited the Ferrari headquarters in Modena to politely offer a solution to the problem. Enzo Ferrari was having none of his suggestion, and called him a “silly tractor manufacturer.” Lamborghini was rightfully insulted and decided to start his own line of race cars. If Enzo Ferrari had been polite and open to improvement, the Lamborghini car line might never have come into existence. Besides being famous for their race car manufacturers, Italians are also famous for their wines. Ferruccio Lamborghini had a large estate near Lake Trasimeno called La Fiorita that included a highly advanced winemaking facility. La Fiorita produced over 800,000 bottles of wine each year. In the 1970s, Lamborghini decided to sell his interest in most of his companies and retire in La Fiorita, which is located near Perugia. Ferruccio Lamborghini was a truly fascinating man and the founding father of one of the most unique line of super cars in the world. Leonardo Diagnostic produces a state-of-the-art diagnostic car tool for Lamborghinis, Ferraris, Maseratis, Aston Martins, and more. 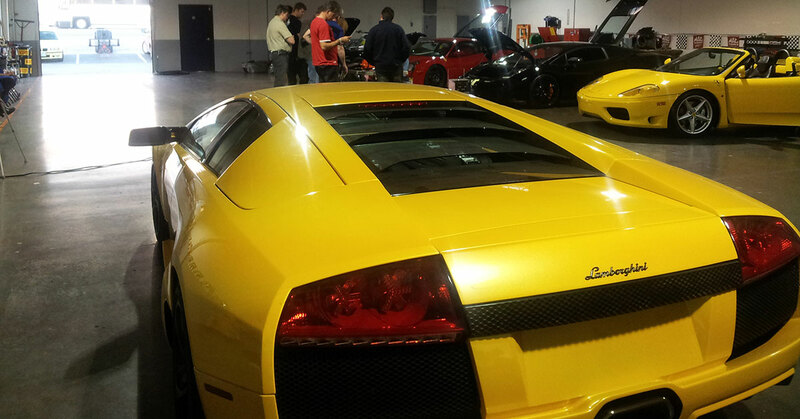 Don’t settle for a cheap imitation when working on exotics; learn more about our Lamborghini tools today.